DAVID LE/Staff photo. 5/12/15. 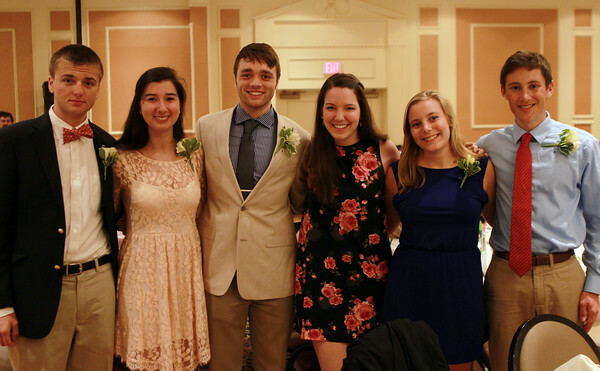 From left: Manchester-Essex Regional High School seniors Samuel Creighton, Hannah Riordan, Tucker Evans, Lila Etter, Kathryn Glidden, and Troy Ciarametaro, at the 47th annual Honor Scholors Recognition Dinner held at the DoubleTree in Danvers on Tuesday evening.